Order plenty of sets for yourself and for Christmas gifts! 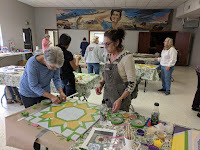 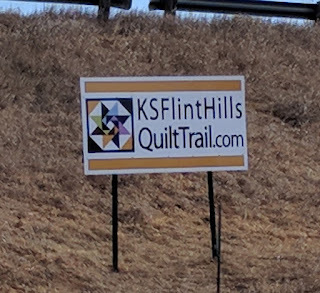 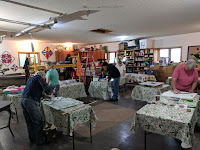 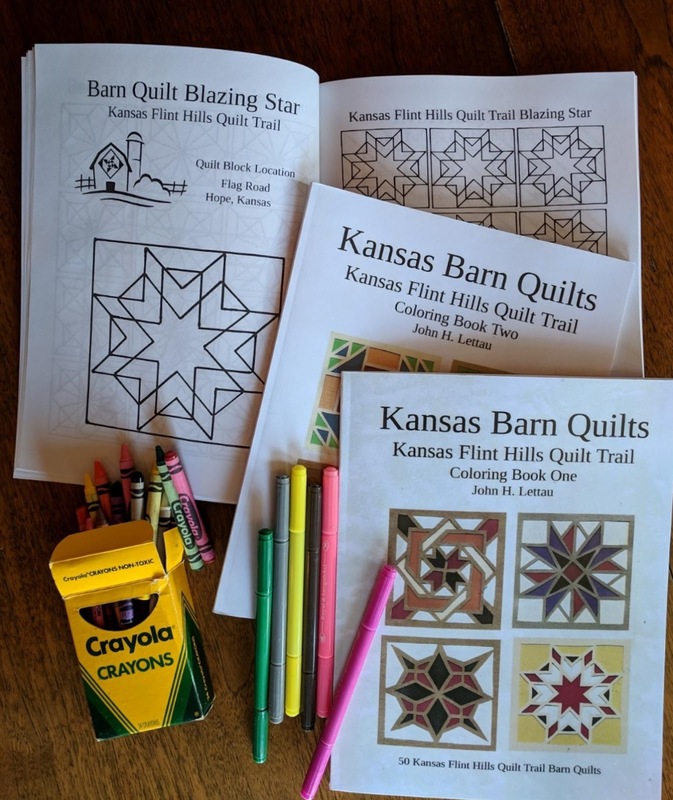 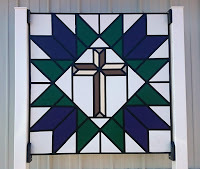 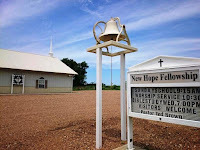 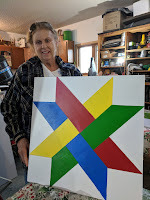 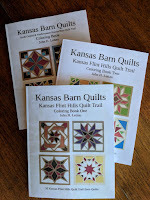 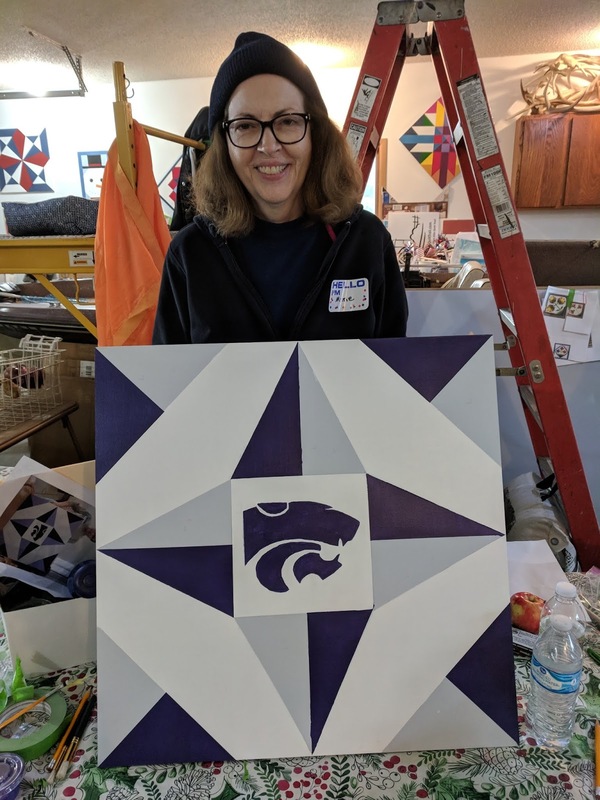 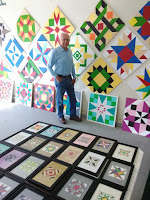 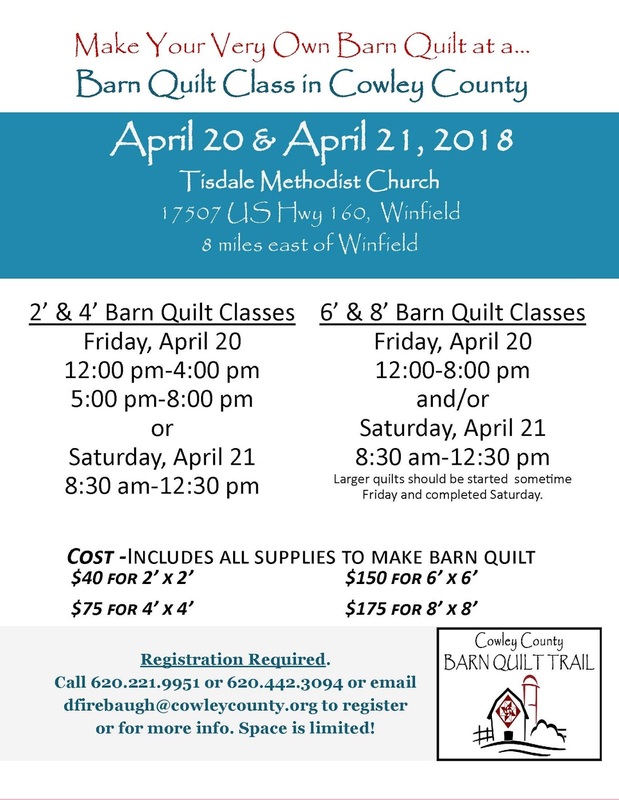 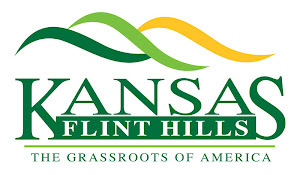 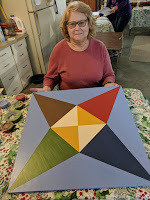 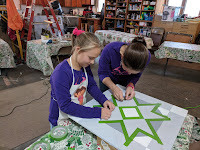 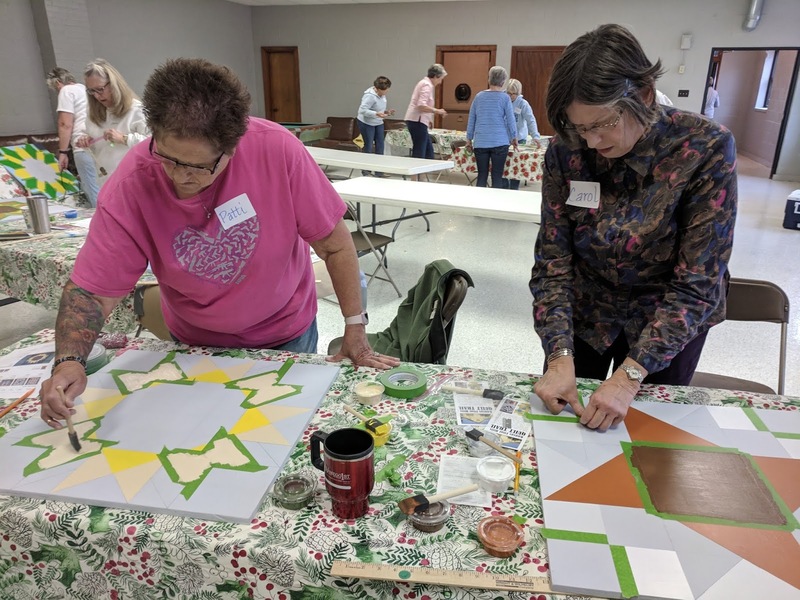 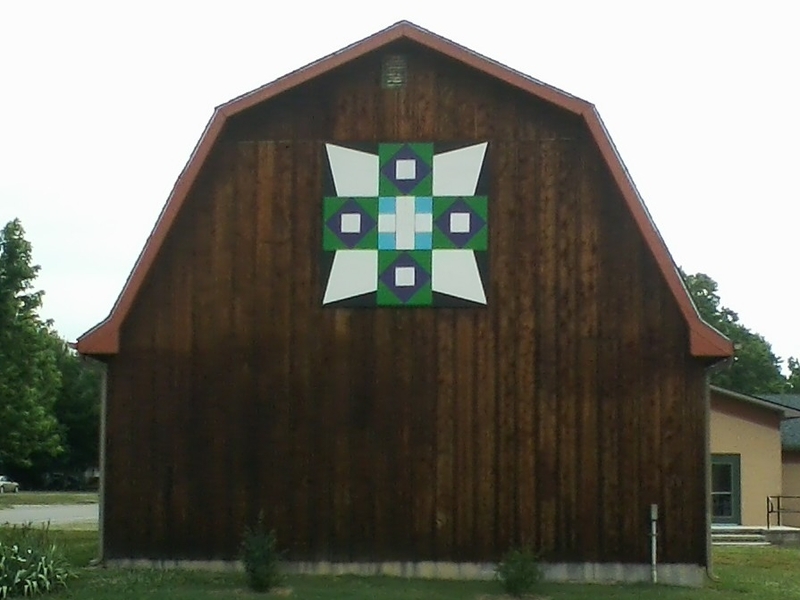 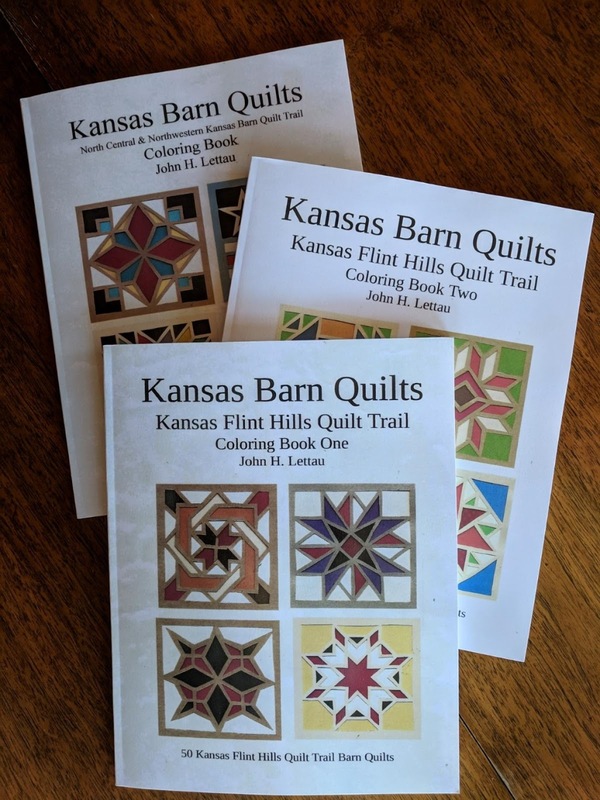 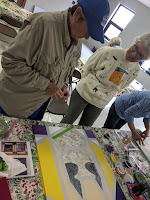 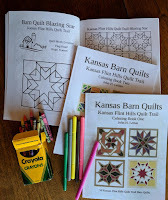 North Central & Northwestern KansasBarn Quilt Trail. 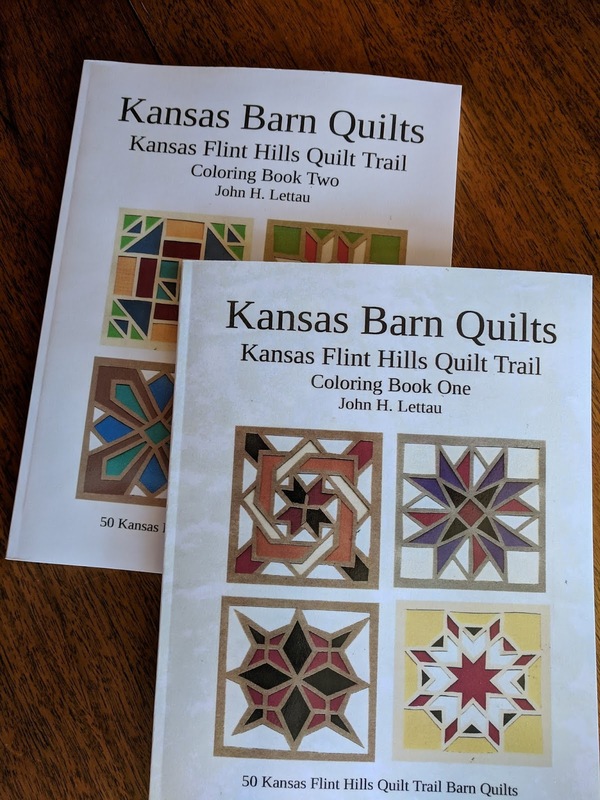 We sincerely thank John for his efforts in publishing these books. 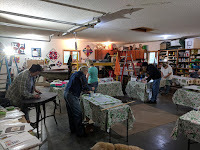 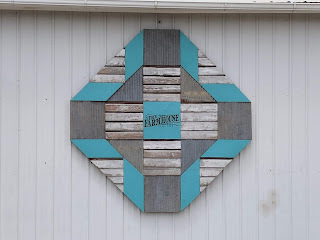 makes framed paper cut-out barn quilt designs. 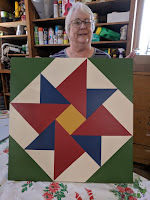 to be displayed at Deep Well Veterinary Service. 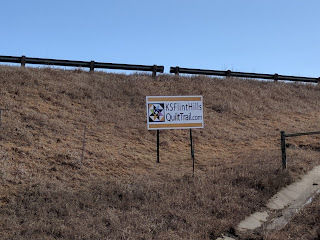 facing Highway 16 east of Olsburg next week. 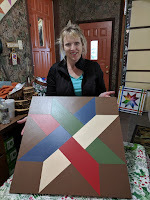 Taylor tapes and paints quite meticulously. 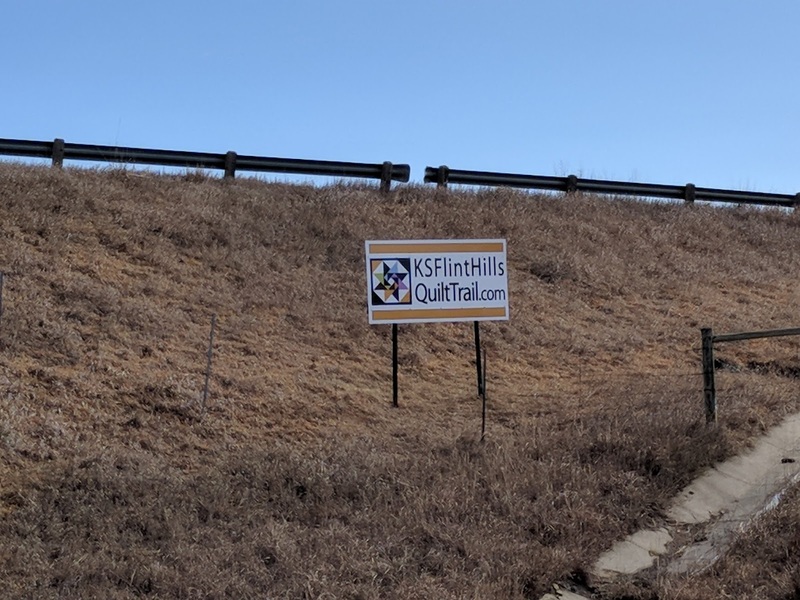 last Saturday, October 6th. 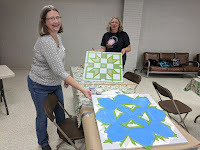 We had fun! 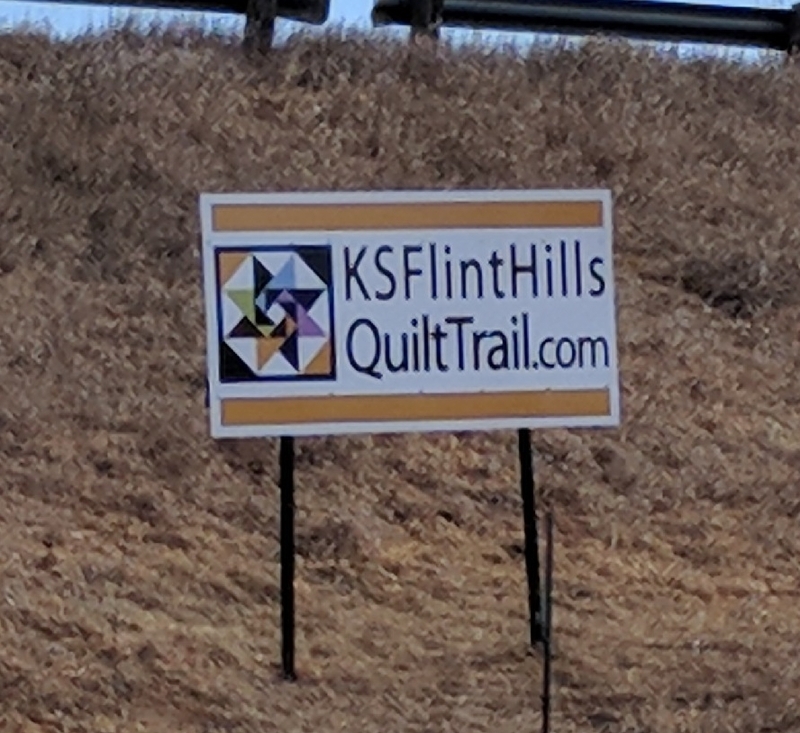 New Blocks on the Trail! 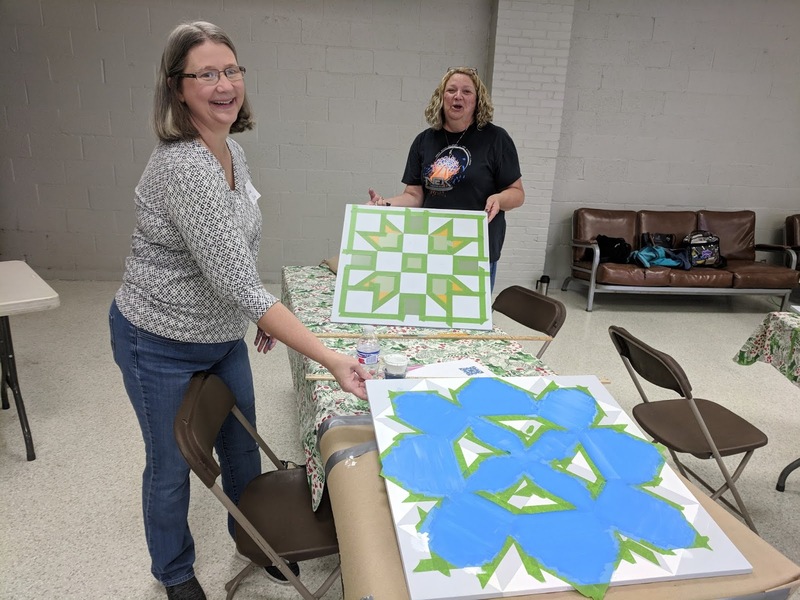 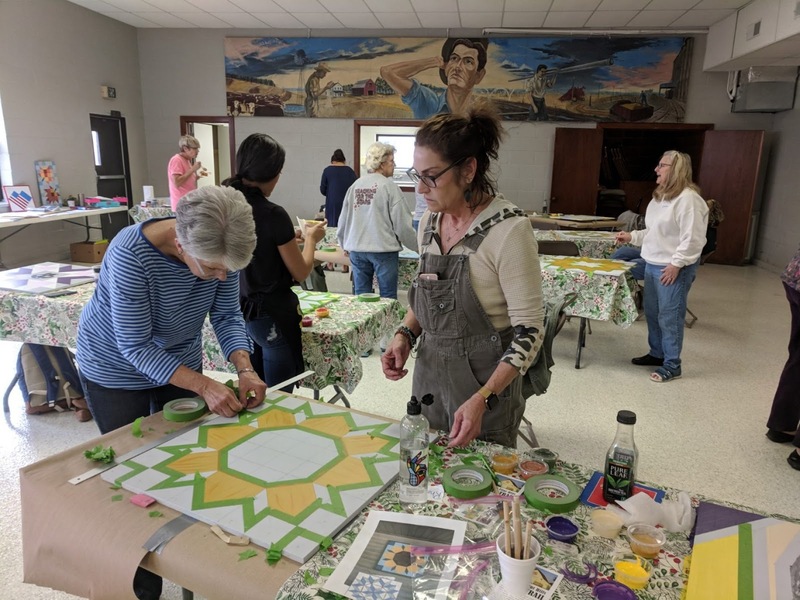 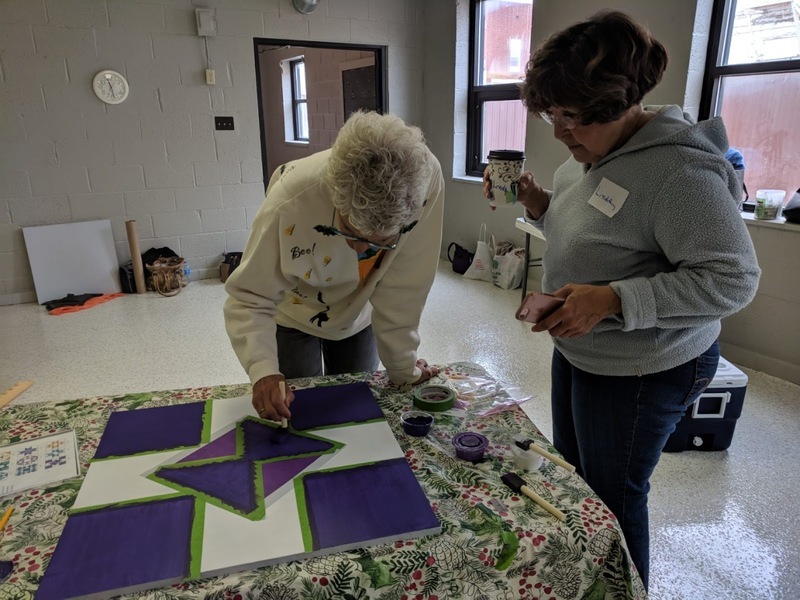 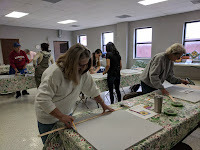 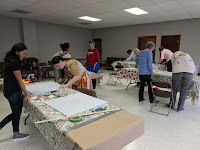 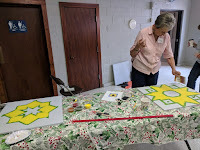 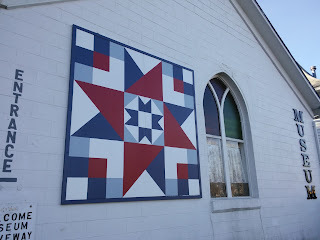 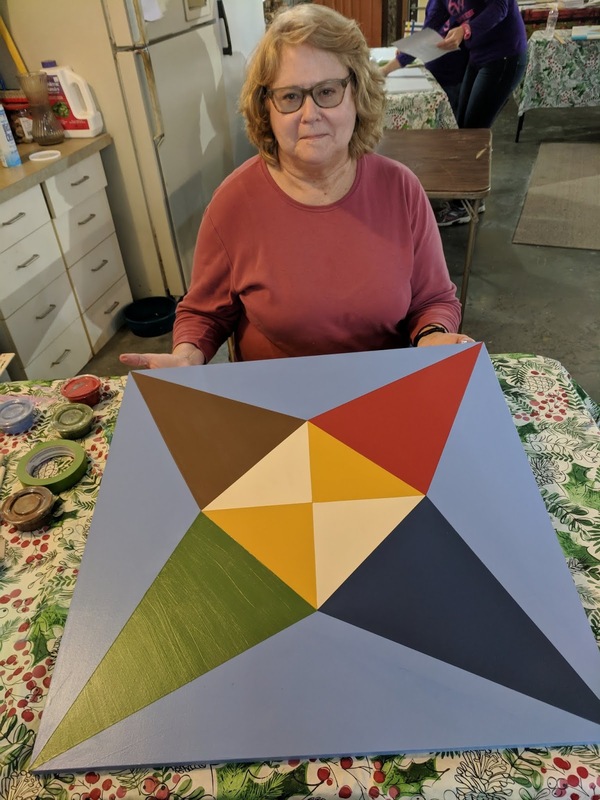 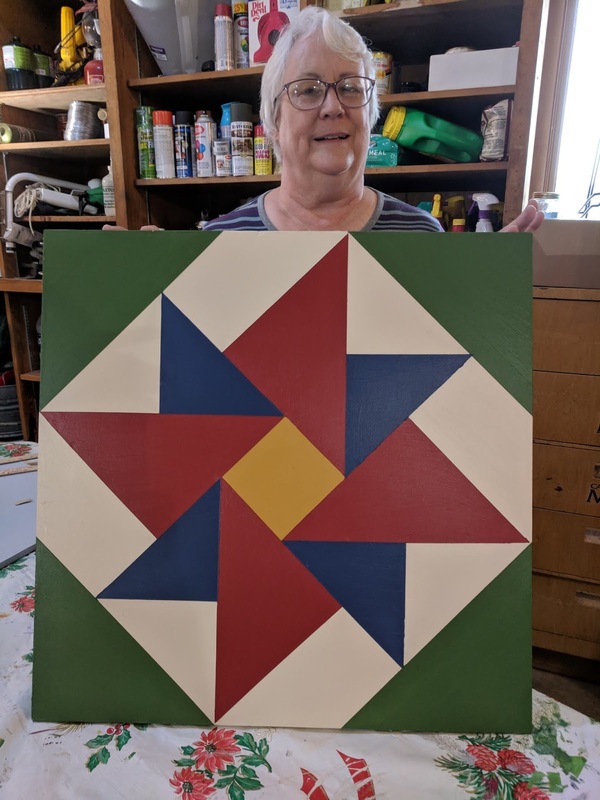 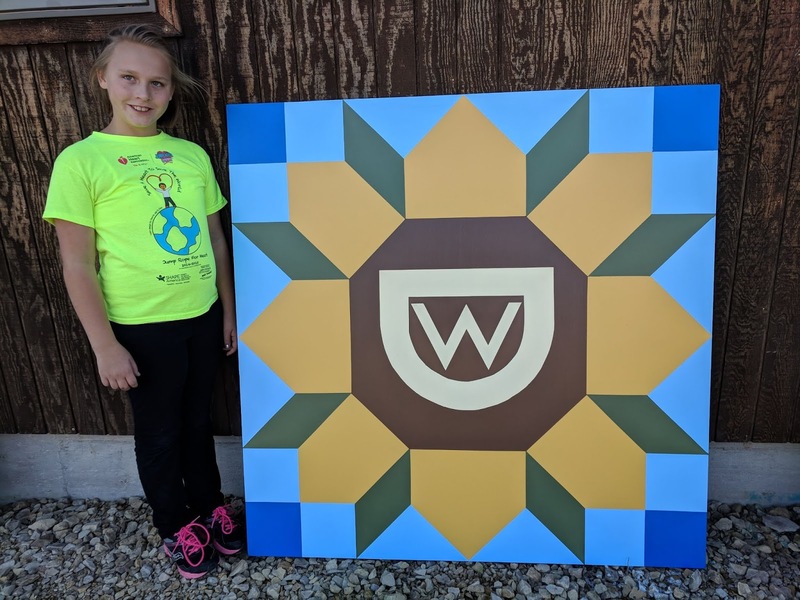 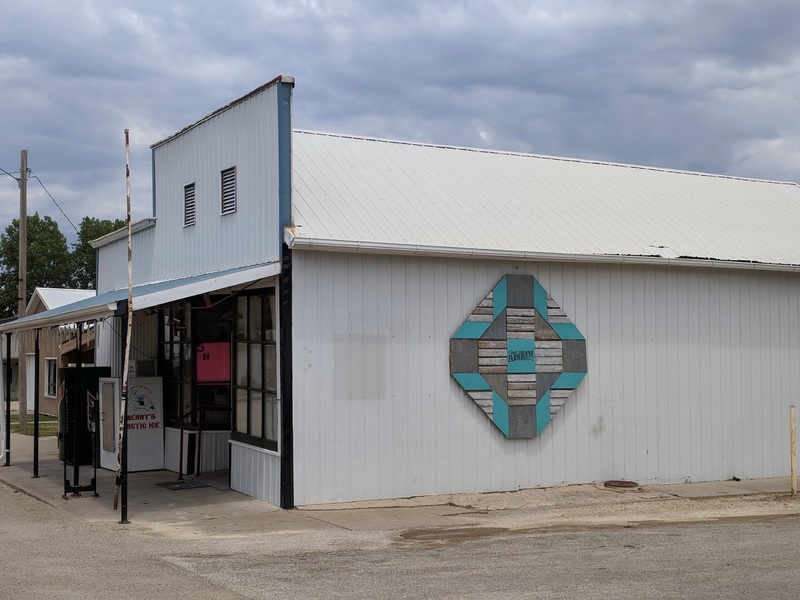 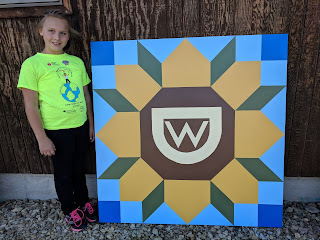 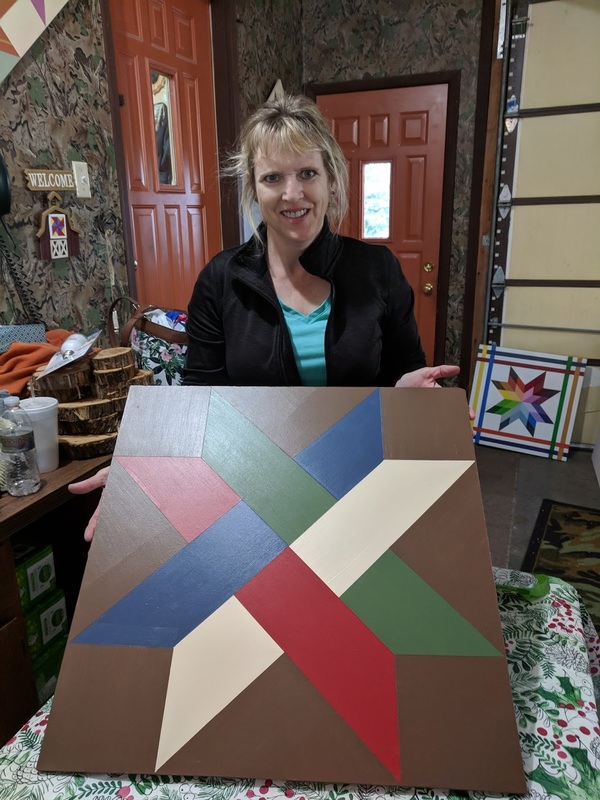 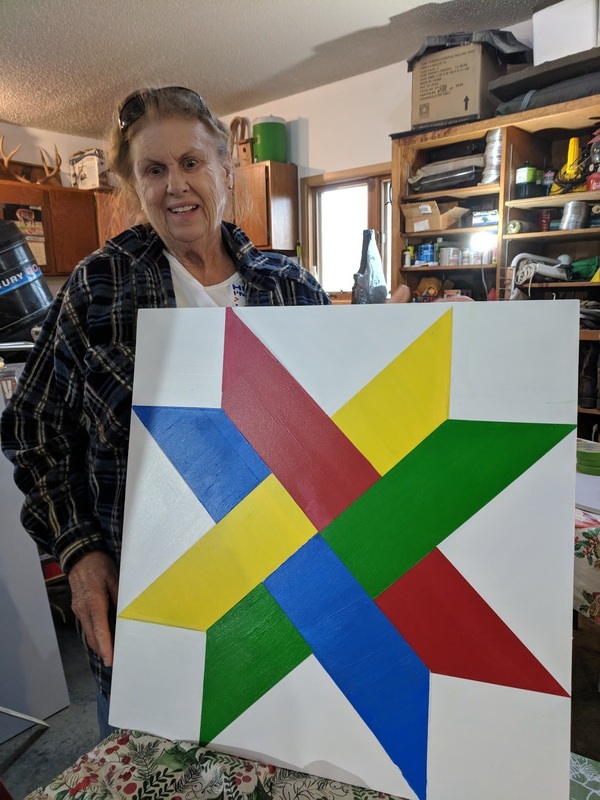 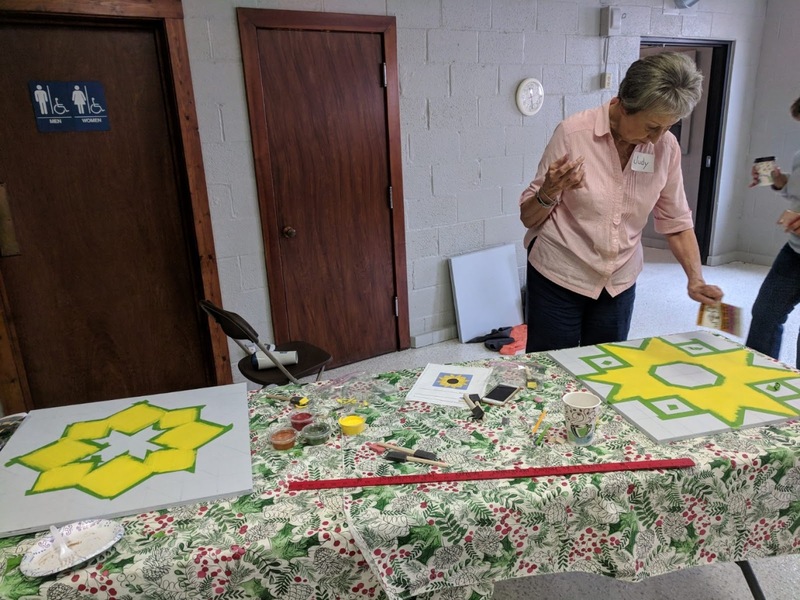 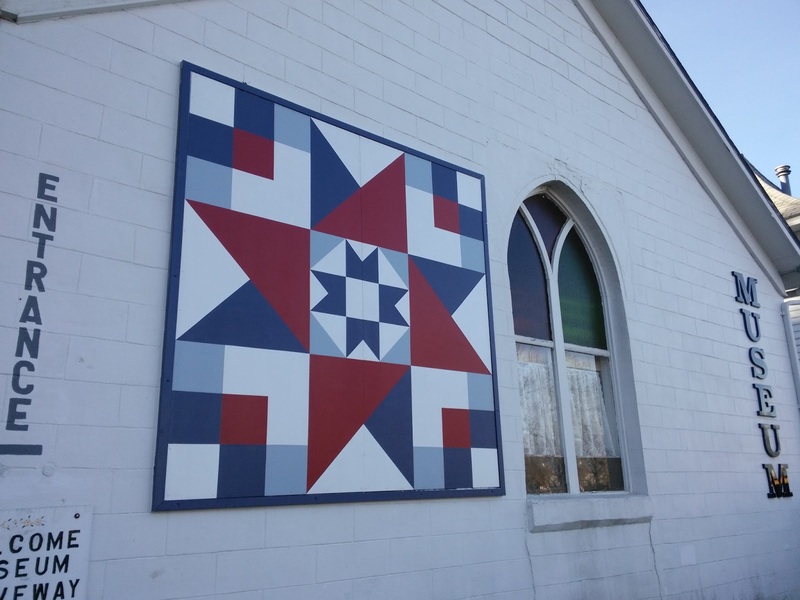 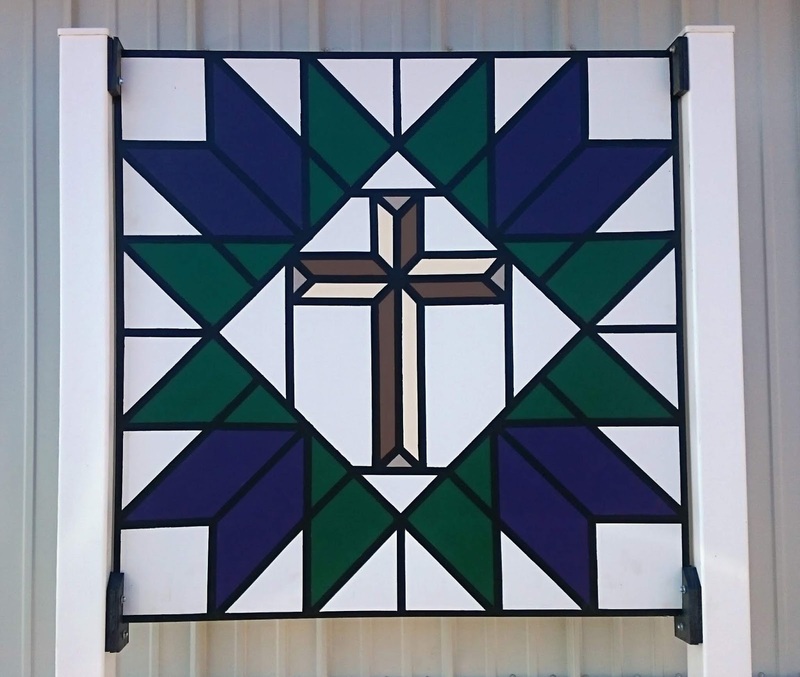 Woodson County adds "Quilts Around The Square"
For this Dickinson County location!